Welcome to day ten of my #FrenchVillageBookworm advent calendar where every day between now and Christmas I am featuring a book set in France. 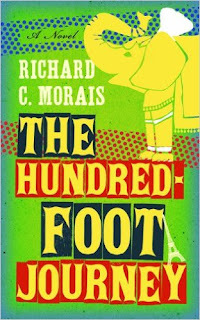 My review today is for The Hundred-Foot Journey by Richard C Morais, a lovely novel that is narrated by Hassan Haji as if it were his memoir. The book starts off in Mumbai, then moves to west London and following a European road trip, the extended Haji family decide rural France is where they will find the happiness they have been searching for since leaving Mumbai. In the small French village of Lumière they open an Indian restaurant where talented cook Hassan is the chef. Things for the family don’t always go to plan, especially as the village is already home to a Michelin starred restaurant whose owner Madame Mallory is less than happy with their arrival and a war of the restaurants begins. However, Madame Mallory has underestimated both their ‘pick yourself up, dust yourself down and move on’ attitude, as well as Hassan’s natural talent in the kitchen. Could he achieve what she has only dreamed of, a second Michelin star? The characters are colourful, there is plenty of humour and I really felt I was among the chaos that was his family. This book is packed full of family drama, trauma, discrimination, but also passion and determination. They have their lucky breaks, but hard work also plays its part in Hassan’s rise to fame in the elite French culinary world. 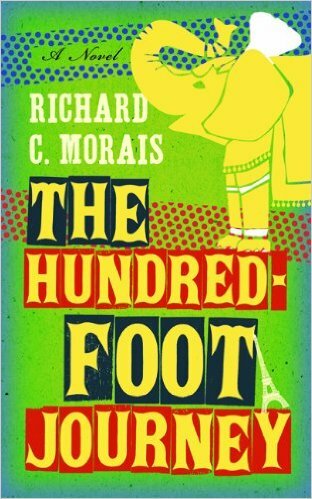 This is real feel good book where the flavours of France and India come alive from the pages. Be prepared to feel hungry! The Hundred-Foot Journey is available in paperback and ebook format and has also been made into a film, which although entertaining isn’t quite as good as the book. The paperback film tie-in edition is currently available as part of Amazon UK's 'Three paperbacks for £10' promotion.